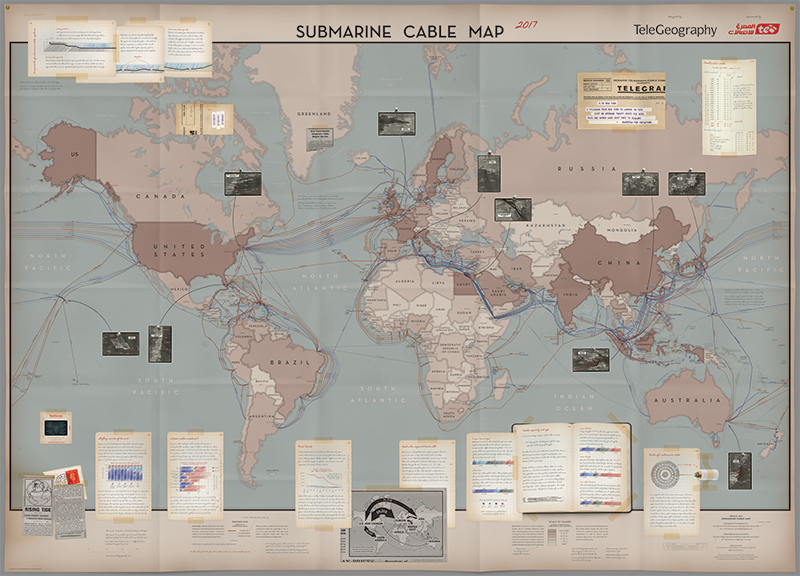 Our 2017 submarine cable map is one of the many pieces you can score 40% off on this holiday season. What maps can you get with this discount code? The short version? Everything we've got in stock! We've got a handful of fan favorites on our shelves this year. 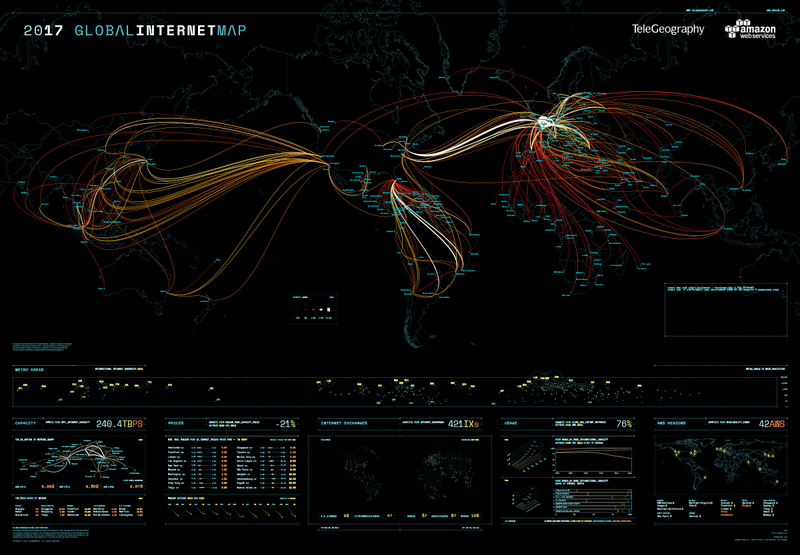 This includes our 2017 Global Internet Map, which turns our internet data into a Tron-inspired visualization of internet bandwidth and connectivity around the globe. And, of course, you can take home our latest submarine cable map, which illustrates 293 active and planned submarine cables that are connecting the world under the ocean. TeleGeography’s large and colorful maps are printed on Yupo, a high-quality synthetic material, and make for an eye-catching and informative addition to any workspace or office.